And so it’s the work that we do in this location — i.e., defining, describing, translating, comparing, interpreting, and explaining — that has become our focus rather that the items on which we happen to practice these skills. Our premise is that whatever you study, whatever you talk about, you’ll likely need these skills, making what we do here pretty relevant — but not because we study some deeply trans-human thing of deep and abiding significance. A previous generation justified the field in just that way, but that’s not our approach, Instead, what we do is translatable because the knowing subject needs to define, describe, etc., just to make sense of the world she inhabits or in order for him to move around within it. It’s all about the skills. 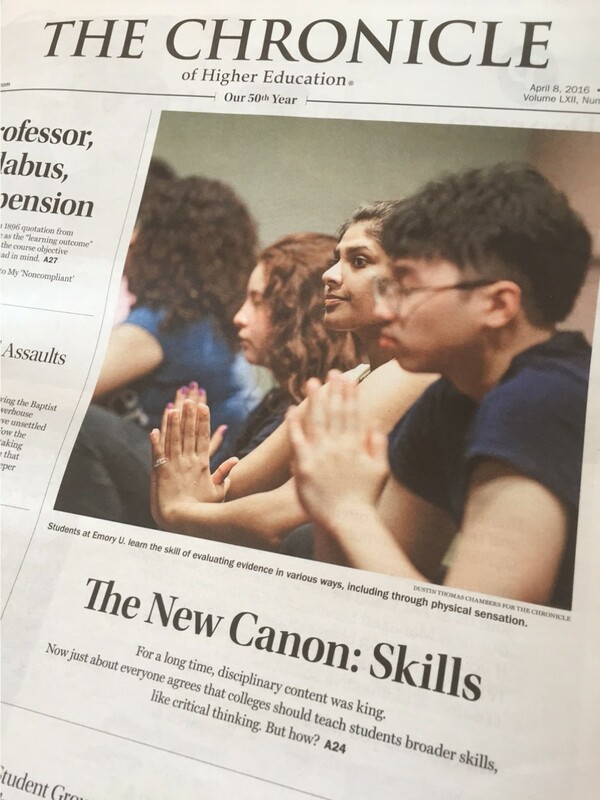 But they’re skills that have long been used — so, despite what The Chronicle piece heralds as new (e.g., bodily ways of knowing), I’d suggest that there’s some benefit to portraying this so-called new canon as back to the basics. This entry was posted in Faculty Blog, Relevance of Humanities, Religion in Culture and tagged skills, The Chronicle of Higher Education by Russell McCutcheon. Bookmark the permalink.